Majority of realtors share the same opinion that the condition of your bathroom will have a huge impact on the value of your property. Keeping your bathroom as updated and well maintained as possible is a very important task for a homeowner to uphold. 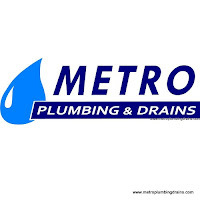 Whether you are building a new bathroom, replacing your existing one, or just in need of a simple repair, Metro Plumbing and Drains will gladly accommodate any of your requests in a professional and prompt manner. Building a new bathroom or enlarging the existing one is one of most common home renovation projects for any homeowner to experience. Even though this project is exciting at first, soon enough it can get very frustrating, especially when it comes down to choosing the right plumbing company. Even though there are a huge variety of companies to choose from, unfortunately only few can provide proficient services at affordable prices. Our staff is dedicated to their job, and treat each project as their own, guaranteeing 100% excellence! It always a great idea to modernize the look of your bathroom, and it can easily be achieved just by simply replacing your shower and your bathtub. Because both of those pieces are the largest ones in your bathroom replacing them with updated styles will drastically change your bathroom appearance in no time. Replacing bathtubs and showers should always be done by certified plumbers only; it is a very complex task that requires special skills and training. Our experts at Metro Plumbing and Drains will not only provide the classic routine by removing the old and installing the new, but as always will take that extra step and examine the piping system for leaks and damages before installing anything new. It is strongly suggested for a homeowner to systematically examine the bathroom ensuring that there are no leaks or clog ups. If you suspect that there is a problem somewhere in your bathroom, you should immediately call a plumber for a professional inspection. Once the problem is detected our plumbers will act on it right away. Whether the solution will involve replacement or repairing, our company guarantees efficiency and high quality.